I envy how everyone is always working on the farm in your photos. I hope you guys get a bit of a break today. There is always something to do, but yes, we might disappear for a couple of days. We have had two weeks of soft rain, when we needed rain it came in lumps. I guess it's the same the world over but living on steep hills means that if we get heavy rain we have to re-seed and get such a dense crop in the hollows that the combine struggles. Mind... you have to remember that out of the three machines in the glen the youngest is twenty years old. PS. Not big posh machines like yours working on the level. This summer tedding in the dark I lost my, way hit a big rock a glancing blow and then went into a bit of swamp. Andrew on the baler followed me just like he should. We thought "Sod It." Whiskey o'clock. Then it rained on the hay come dawn we weren't happy little balers. I bet you miss the fun we have. No. The little bit we had left to do didn't dry fast enough - not even with the tedding. A good day to get caught up on inside stuff. We had a few buckets here last night too. I hope you got done all that you 'had' to do, and can have a brief rest. Indeed! We call them "gully washers"!!! Hope you got the rest of your hay done first! We would gladly take some of that rain off your hands, if only it worked that way! Yes, if only it worked that way! 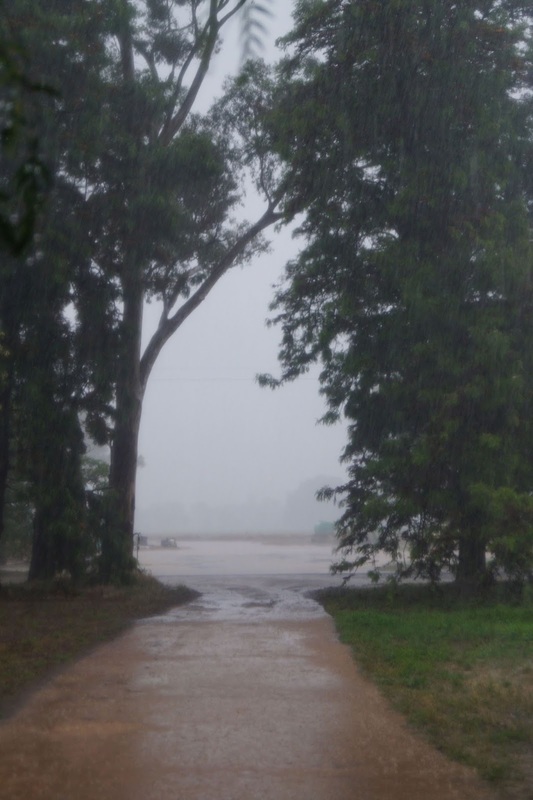 We have had ¼ of our annual rainfall in 5 days. And the forecasters predicted below average rainfall for spring! Go figure.